To upskills Transnet’s employee’s skills in courses that address the construction of railway lines and turnouts, as well as maintenance of the railway track. 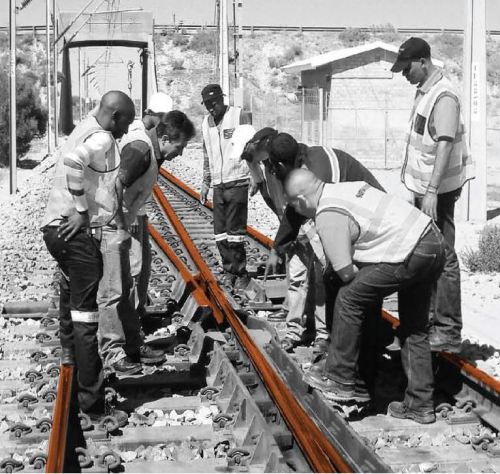 R&H Training was contracted for service to conduct training, assessments and certification of RME’s trainee track masters in Bellville, Durban and the Port Elizabeth regions. Training programmes were developed to ensure performance in railway track construction and maintenance with a view to create occupational readiness and enhance safety and reliability.